Greg Irwin first began developing his Finger Fitness techniques while earning his degree in music education at Miami University in Oxford, Ohio. He and his wife Lorraine started HandHealth Unlimited in 1988, connecting products and programs to meet the qualifications of hand therapists and the needs of people just like you. How can I determine which products are right for me? As with any exercise program, it is advised that you talk to your doctor in determining a regimen that is right for you. The Product Catalogue is divided into specific categories based on your hand workout goals. Is Greg Irwin the performer I saw on The Tonight Show? Yes! Greg has made many television appearances over the years, and has been seen on The Tonight Show both with Johnny Carson and Jay Leno. To find out more about Greg’s television performances, view his resume. How do you choose the products for your website? Products on this site are selected by Greg and Lorraine Irwin, but are placed on the site only after careful review and approval from a Certified Hand Therapist. Is wholesale pricing available for third party retailers? Yes! Vendors are welcome to display and sell our products. Contact HandHealth Unlimited for more information. What is HandHealth Unlimited's mission? Hand Health Unlimited is dedicated to helping hands work and feel better. Our goals in designing and marketing our products are prevention, improvement, and rehabilitation. Who should use your products and programs? Whether you’re a musician or a surgeon, a manual laborer or a stay-at-home parent, your hands are vital to the work you do each day. 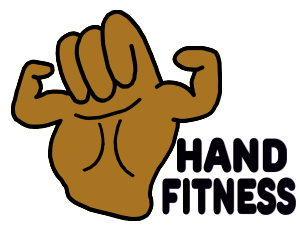 At hand Health Unlimited, we are dedicated to helping you take the best care of your hands’ health. For a listing of some professionals, athletes, and musicians who benefit from HandHealth Unlimited’s products and programs, click here. What are the benefits of your products and programs? All our products are designed to help you increase strength, coordination, and dexterity in your hands and fingers. At the same time, they can help you decrease the occurrence of injury, stress, and fatigue, all of which can have serious repercussions for your long-term hand health. If I'm experiencing pain in my hands, what products should I use? If you are experiencing pain or discomfort in your hands, we strongly encourage you to visit your doctor or hand therapist, as pain may be a sign of an underlying physiological problem. If hand exercises are deemed appropriate, gentle hand motion exercises are best. Consider products designed for dexterity. While HandHealth Unlimited makes no claims regarding use for specific medical conditions, research indicates improved flexibility and muscle use can strengthen hands, fingers, and wrists, helping to prevent further injury. If you have questions regarding a specific condition, see your doctor or hand therapist.